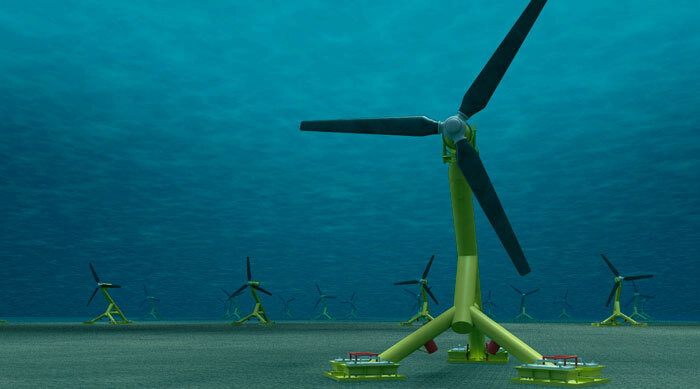 The MeyGen tidal stream project is a major win for renewable energy advocates. A turbine designed to generate electricity from the tides at Scotland’s north coast was revealed by its developer, Atlantis Resources. The unveiled giant dynamo will be the first of four to be deployed in the waters as part of Phase I of the MeyGen tidal stream project, the world’s first large-scale tidal energy farm. Standing 15 meters (49 ft) tall, with 16 meter (52 ft) blades, weighing around 200 tonnes (220 tons), and each turbine has a 1.5 megawatt (MW) capacity. The project aims to install 269 turbines in hopes of having a capacity of 398 MW, enough to power 175,000 homes. The Scottish government has funded the project with £23m. “I am incredibly proud of Scotland’s role in leading the way in tackling climate change and investment in marine renewables is a hugely important part of this,” said first minister Nicola Sturgeon. “MeyGen is set to invigorate the marine renewables industry in Scotland and provide vital jobs for a skilled workforce, retaining valuable offshore expertise here in Scotland that would otherwise be lost overseas,” she added. The success of the project depends on future support. “This is still an incredibly young technology, and future development is absolutely dependent on continued support from Holyrood, Westminster and Brussels, who have all played a vitally important part in the growth of the sector to date,”Jenny Hogan, policy director of Scottish Renewables said.